AES Sustainability Consultants, are proud to inform our clients that we have an accredited CPD, outlining the basic concepts, procedures and objectives of BREEAM 2018. This BREEAM 2018 CPD is deliverable at our office in Tiverton or an AES representative can come to you. If you wish to learn more about our BREEAM 2018 CPD, please contact us. 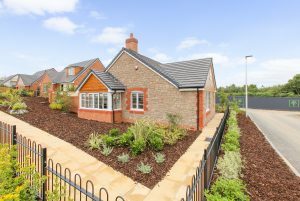 AES have been proud to work for Baker Estates on the first phase of this high-quality rural housing development. Bee Meadow utilises a timber frame construction alongside high-quality materials to ensure Building Regulations are met through a robust and lasting specification. With the second phase already underway, we are looking forward to being involved in the evolution of the wider development, ensuring that new, high quality and energy efficient homes are available within a thriving local community. The International WELL Building Institute launched the WELL Building Standard version 1 in 2014. 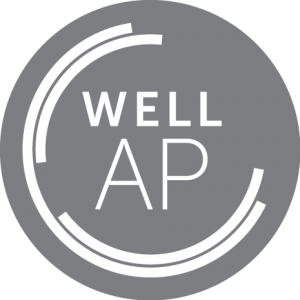 Grounded on medical research, the WELL Building Standard (WELL) is a performance-based system for measuring, certifying and monitoring features of the built environment that impact on human health and well-being. Today there are now 109 certified WELL projects and 840 WELL registered projects worldwide. In May 2018, the WELL version 2 (v2) pilot was launched, this is the next version of the pioneering WELL Building Standard. The WELL v2 standard presents a set of requirements for ten relevant factors, or Concepts; Air, Water, Nourishment, Light, Movement, Thermal Comfort, Sound, Materials, Mind and Community. Placing people’s well-being at the heart of design and construction can enhance their health and experience, generate savings in medical and productivity costs, and so add value to real estate assets. AES Sustainability Consultants, are pleased to announce that BREEAM Consultant Yasmin Spain is a qualified WELL AP (Accredited Professional) and will enable us to offer the WELL AP project role in addition to our BREEAM Services in a commercially viable manor.